Our attendant greeted us at the door. He gave me my pick of the tables and I choose the one by the window (not that there was a nice view – only a vacant lot overgrown with marapait but anyway =b). 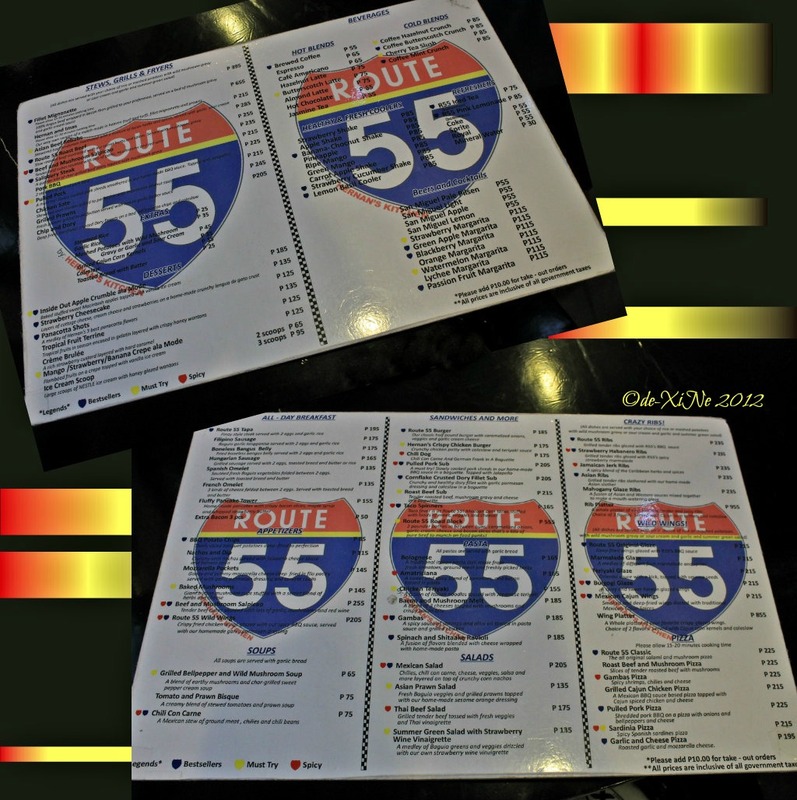 He then handed us the menu and told us about the best sellers in Route 55: ribs, sandwiches and burgers and wings. Scanning the menu, we were glad for his guidance because there were so many dishes to choose from. Our cold blends arrived at the table first. True to form, my drink was butterscotch-y. There wasn’t much of the crunch though but I didn’t mind, I got that from the small piece of peanut brittle stuck on the cream topping of the drink. I took a sip of Race’s drink too and was thoroughly impressed. It wasn’t that coffee flavored but then it wasn’t what I expected either. I like minty things (e.g. chocolate) and this just had a hint of mint in it. It’s not like what my brother would refer to as ‘like eating toothpaste’. He’d like this drink. ^^, It’s when you swallow that the mint flavor bursts in your mouth. It provided for a wonderful sensation and taste. When the ravioli was being delivered to us, I almost squealed with delight at the sight of the plate. I was famished, you see, but when it was laid on the table, my bubble popped The plate was huge yes, but the part where the ravioli was, was small. (Cue cartoon sound effects of being disappointed/foiled – the one that goes “hwe hwe hhhwwwwwe”.) Race’s order was then brought to the table and it had an even bigger plate. (Diner looking digs, but fine dining plates/presentation…innnnteresting =D). And so we started eating. 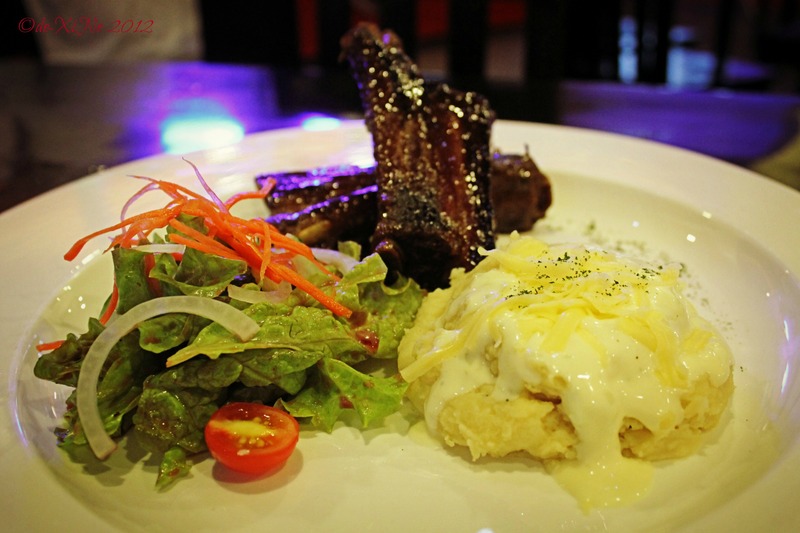 Race said the ribs were perfectly cooked; tender meat – easy to clean away off the bones. The salad was okay (overshadowed by everything else on the plate). 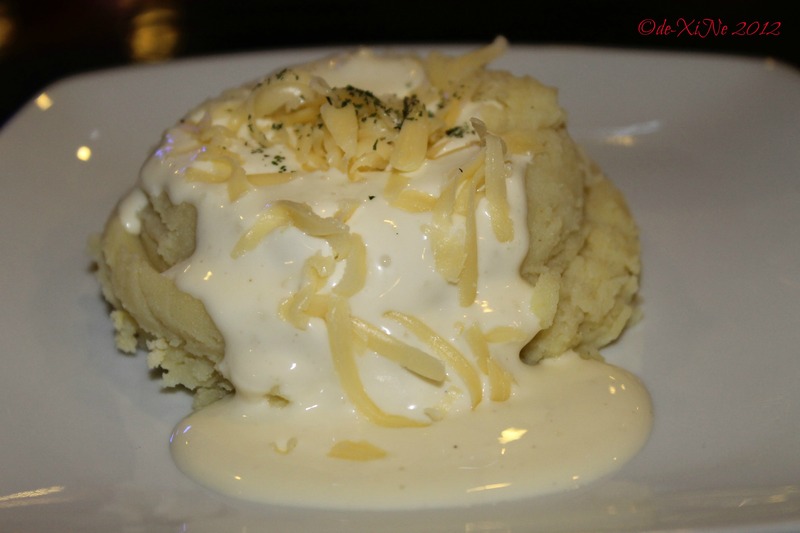 The mashed potatoes with sour cream was a smash! Getting a spoonful of it, I concur, it really is a smash! The potatoes and the sour cream, so happy together. 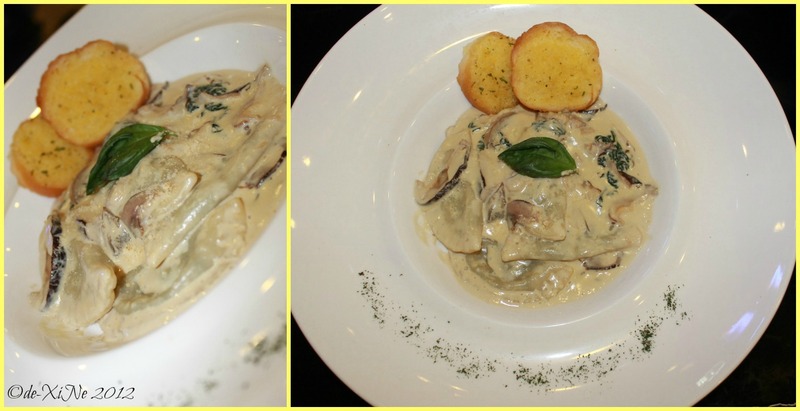 \m/ For my ravioli, the shiitake mushroom flavor was stronger than the spinach flavor. However, it was creamy good and filling (taught me a lesson not to judge a dish by its presentation =b). I would’ve liked the pasta to have more cheese on it though, or maybe a little sprinkling of salt… that’s just me, uber flavors for Ms. Salty. With Race having two meaty ribs on his plate, the mashed potatoes wasn’t enough so he got an extra order of that. (Yey! (“,)) We also ordered their panacotta shots for dessert. Having finished everything off of our (giant) plates, we attacked the dessert. 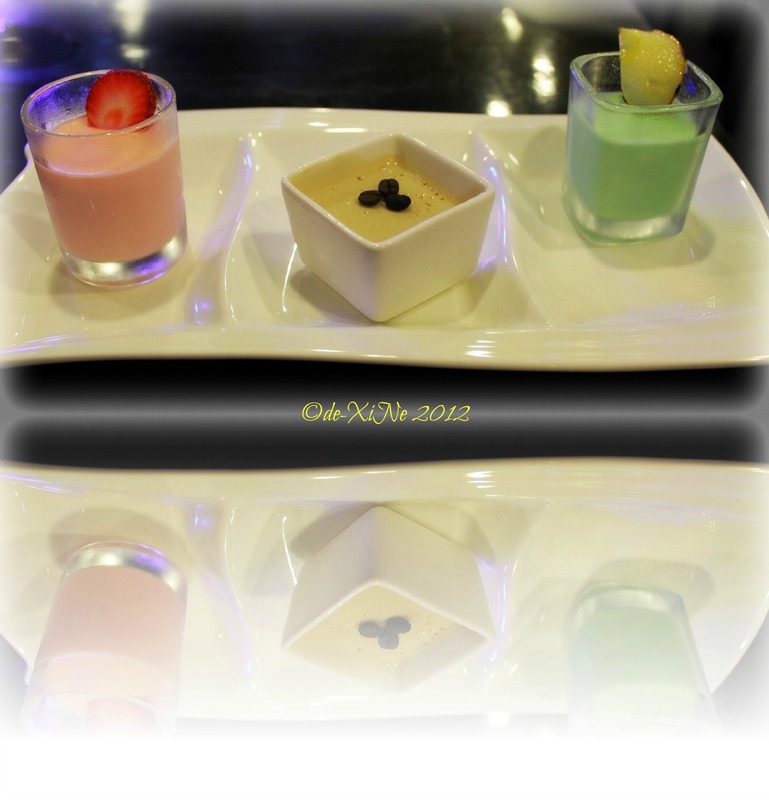 The panacotta shots came in three flavors, pandan (I think that was), strawberry and coffee. The flavors were pretty mild and you have to roll the panacotta around in your mouth a bit to really taste it (namnamin!/savor it!). For the pandan flavored one, more so. I have to mention that I loved the sliver of fruit used as a topping for the pandan panacotta. I think that was pear and it was seared just a bit and so its natural sugars became a glaze, yum yum! Essentially, it was a great finish to a fabulously filling meal. And so this section of Legarda Road is no longer a dead zone and it’s all because of great places like Route 55. 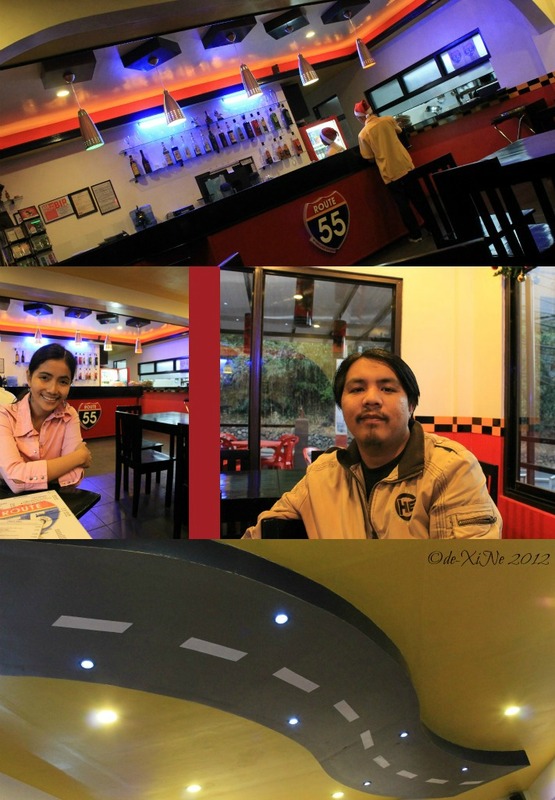 X marks Route 55 for good food in Baguio. 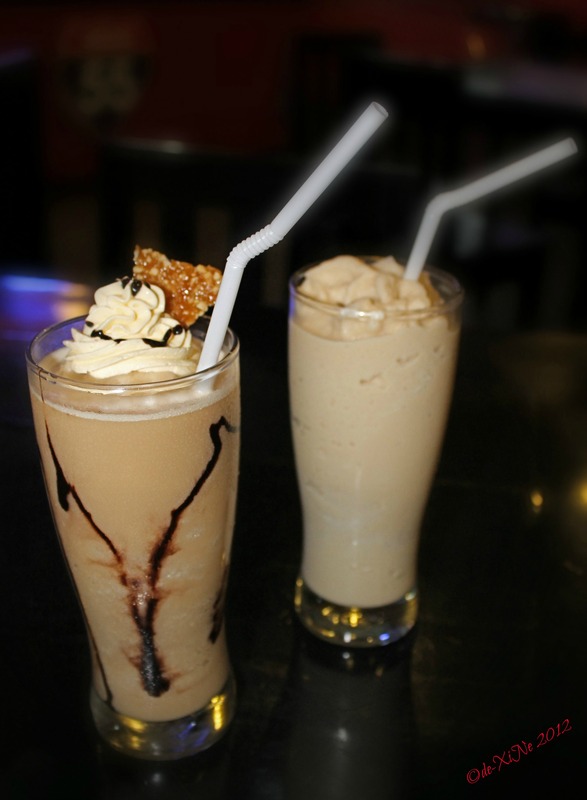 Find yourself on Legarda Road? 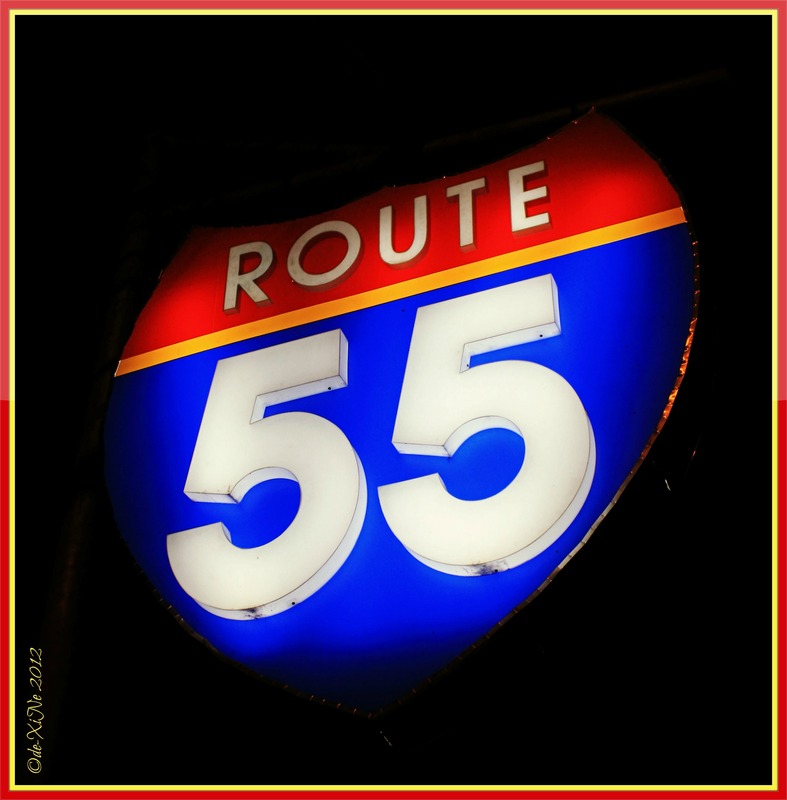 Look alive and head on down to Route 55!